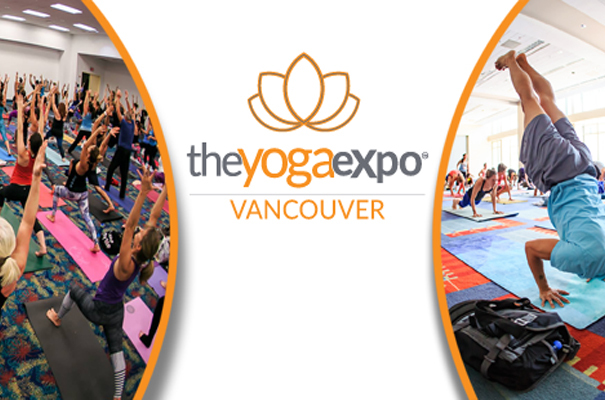 As an amateur Yogi and fan of any-and-all things related to wellness, I jumped at the chance to attend The Yoga Expo in Vancouver. 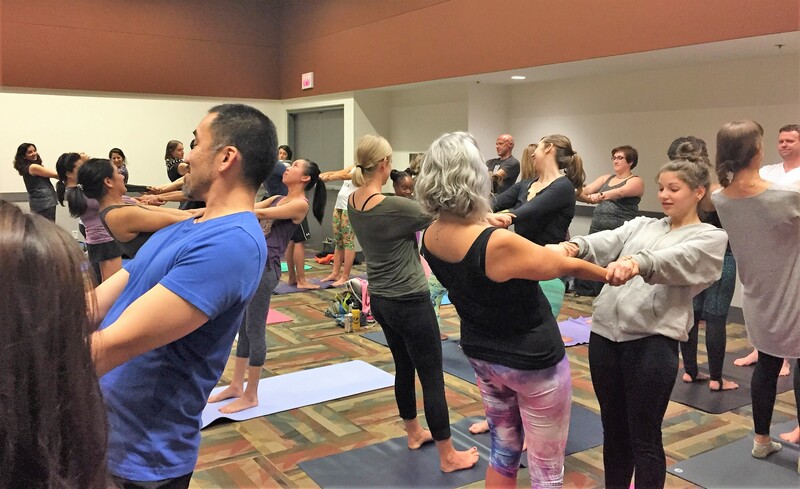 Munching on samples of Hippie Snacks and sipping kombucha, I chatted with a woman who’s husband, Micheal Lee, was about to lead a workshop on partner yoga. Having never heard of such a thing, I was intrigued and agreed to jump in at the last minute. What I learned will stay with me for life. Michael is the author of two books, Phoenix Rising Yoga Therapy—Bridge from Body to Soul and Turn Stress Into Bliss. He is also a contributing author to the American Psychological Association published book, Beyond Talk therapy: Using movement and expressive techniques in clinical practice. 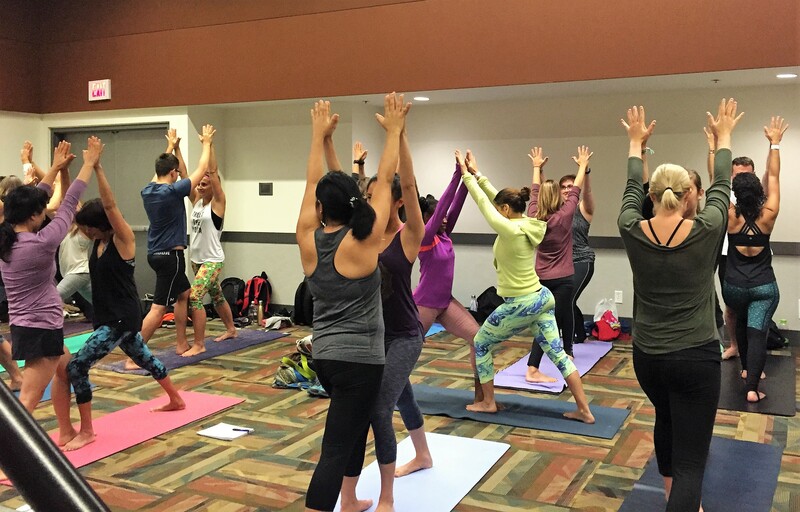 Micheal has used his experience and knowledge to create a unique yoga method that combines both the physical and emotional elements of the practice to help people understand how they show up in relationships. Micheal began the workshop with a discussion on the self. We decide, he emphasized, in every moment of our lives, how we show up. We do this by setting intentions, and most often we forget that we can set an intention for any circumstance. He urged us to ask ourselves: How do I want to show up today? One of the first poses had us stand facing our partner and pushing our pelvis forward to lean back, aiming the chest as far away as possible, holding each other’s hands and keeping our legs straight. We Had to find balance holding each other and take a deep breath. Then, we slowly bent forward and relaxed, breathed again, and came back up to stand. He instructed us to tell our partner what we noticed about ourselves in the pose, not our partner. “What you notice is a theme that shows up in your life and in your relationships.” He said. The first brave participant confessed that she felt much more confident in supporting the weight of her partner leaning back, but said that she would have rather held herself up when it was her turn to lean back. Trusting her partner was only one part of the issue. Being very independent throughout life had always made it difficult for her to let her guard down. A second variation of this pose included communication through a squeezing of the wrists to tell our partners that they could go back further into the pose. The couples noticed that adding the communication helped them feel more balance, more in sync and relaxed in the pose. They each could let go of being the “supporter” since they could easily determine when they needed to pull further or ease up. One participant revealed how she wanted to “push to the very edge” of the pose right away, and reflected how she has always been an adrenaline-junkie in life, and sought partners who could share a strong sense of adventure and risk-taking. She felt ashamed by this but Michael reassured her that in our quest to be authentic, we should recognize moments of our inauthenticity. There was a resounding “Mmmm” of recognition from everyone in the room. Michael advised that after becoming aware, we should follow this with acceptance. 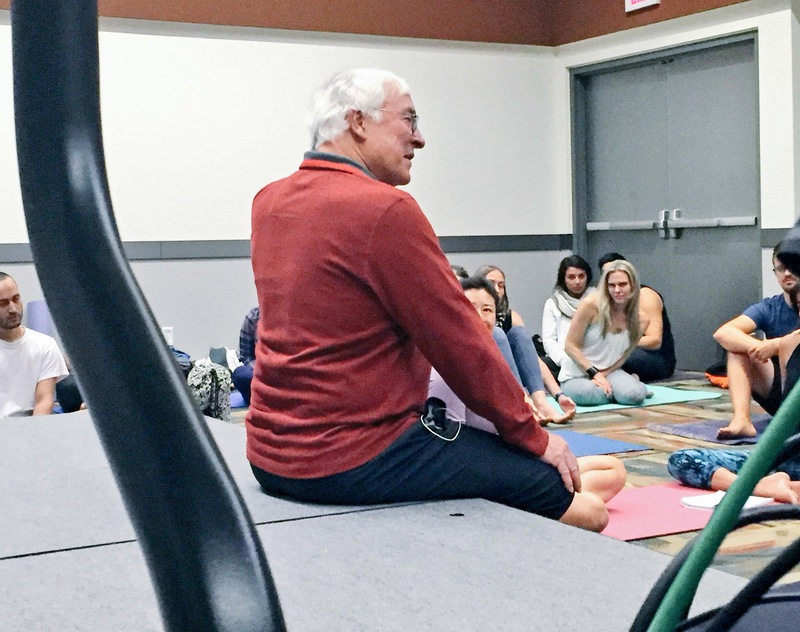 Michael gave a personal story of feeling vulnerable in camel pose–a yoga pose that has you in a back bend on your knees reaching back to your ankles as you push your chest up and outward. He always hated it, and it was difficult for him to improve. One day, he decided to start playing around the edge of the pose to try getting used to the uncomfortable feeling. Pushing the edge over and over helped him overcome his feelings and soon enough his attitude and flexibility improved as he became more comfortable. “Through my vulnerability comes my strength.” He said. The beauty of partner yoga was that it showed us where we are vulnerable directly through our emotional and physical responses to the poses. Realizing and acknowledging our vulnerabilities helps us to grow, and is essential for fostering a strong, loving relationship with others and with ourselves.